Bebinca, this year’s 16th typhoon, is likely to make landfall in south China’s Guangdong Province on Tuesday night, according to local meteorological authorities. 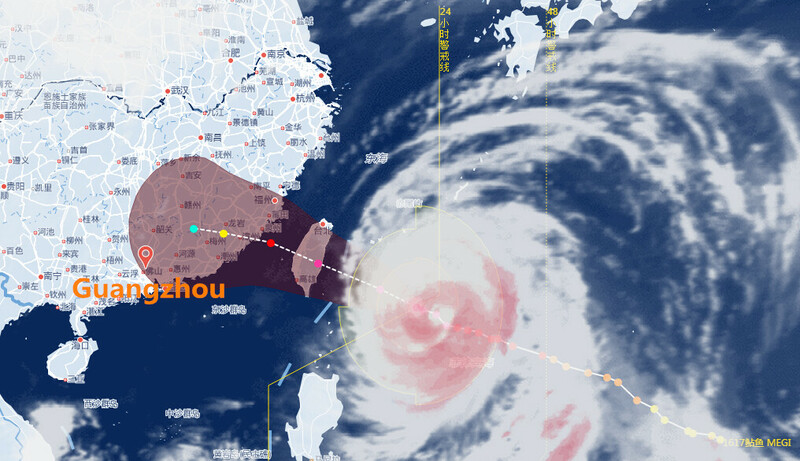 The typhoon is expected to circle offshore before reaching western coastal areas of Guangdong. Downpours have been forecast in west Guangdong and cities in the Pearl River Delta from Monday night to Thursday. Bebinca will also bring gales and heavy rain to the island province of Hainan from Monday to Wednesday. Meteorological authorities in Guangdong and Hainan both issued alerts over potential rain-triggered natural disasters, such as floods, mudslides and landslides.